Chop rosemary and thymus and a couple of garlic cloves with some salt. 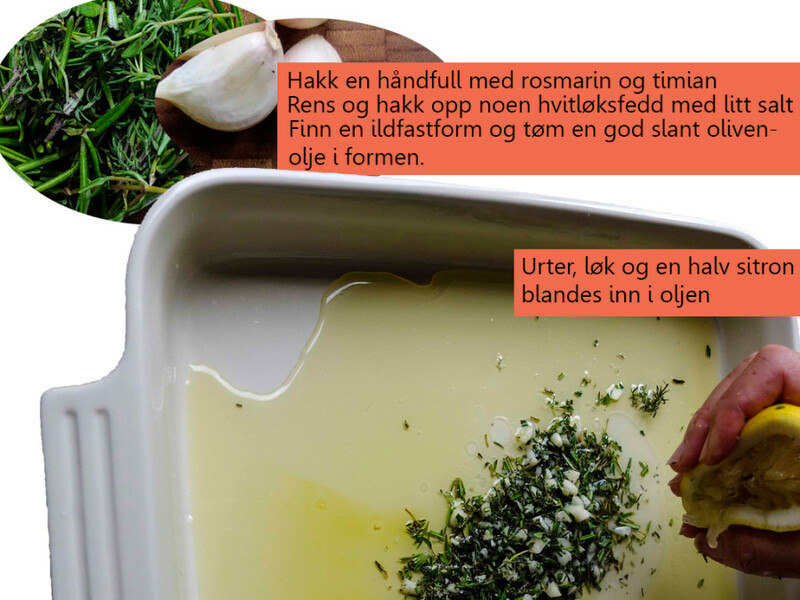 Mix herbs, garlic, some lemon juice with some good olive oil. Slice into the duckskin, but not in the through into the meat. 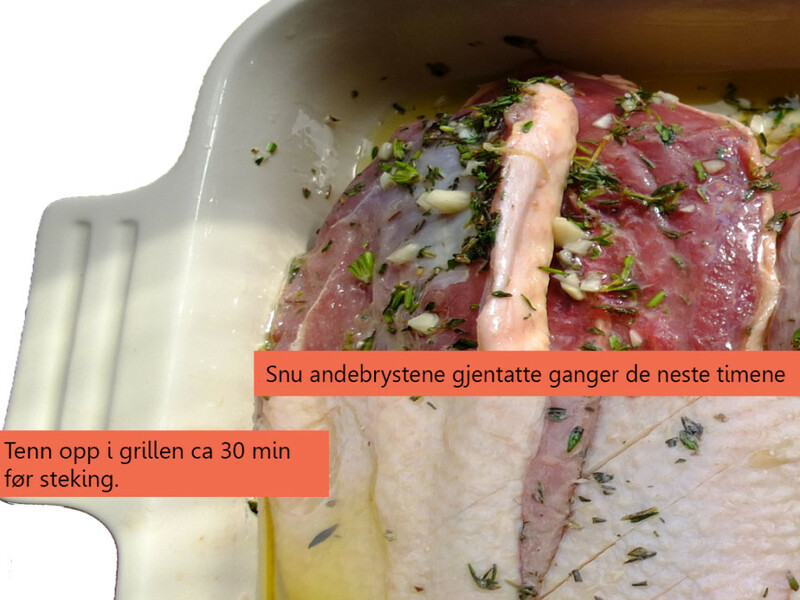 Turn the duck breasts several times in the marinade the next hours. Ignite the grill 30 min before the roasting. 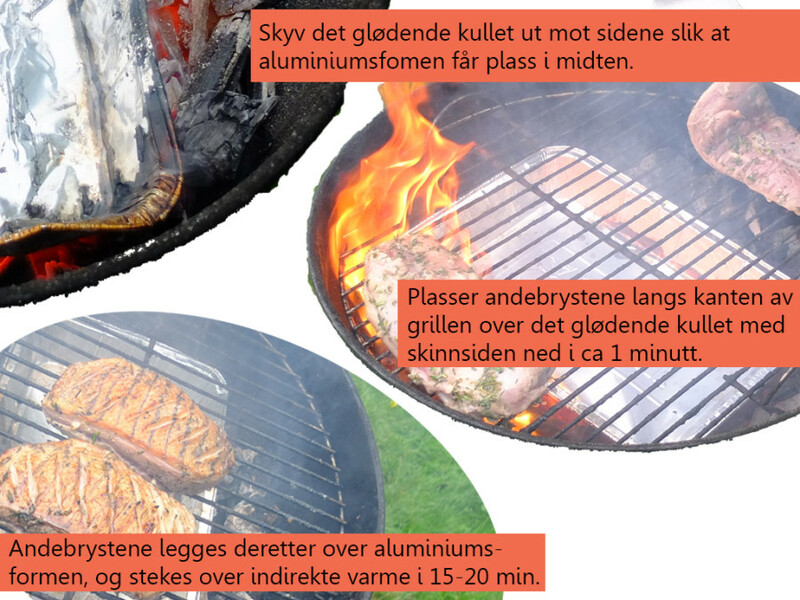 Push the coals towards the sides, and insert an aluminum form in the middle. 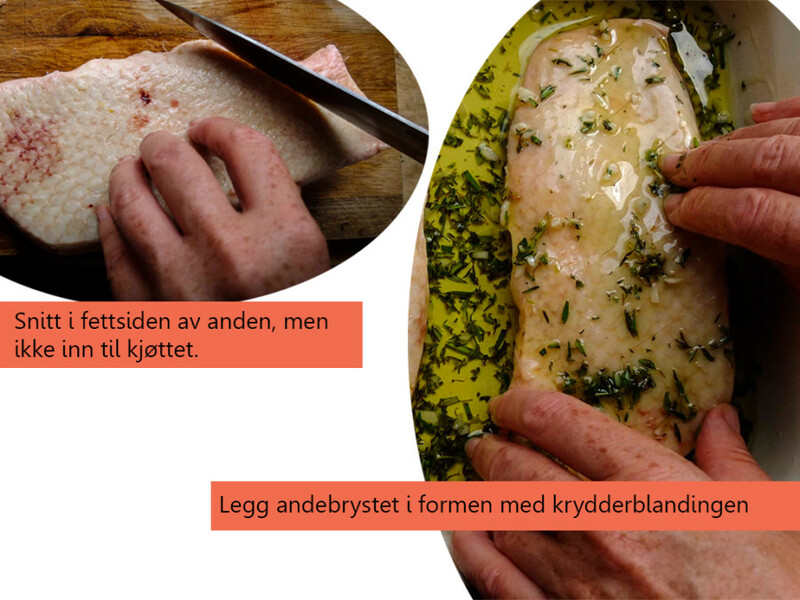 Place the duck breasts towards the edge, skin side down. Cook for approx. 1 min. 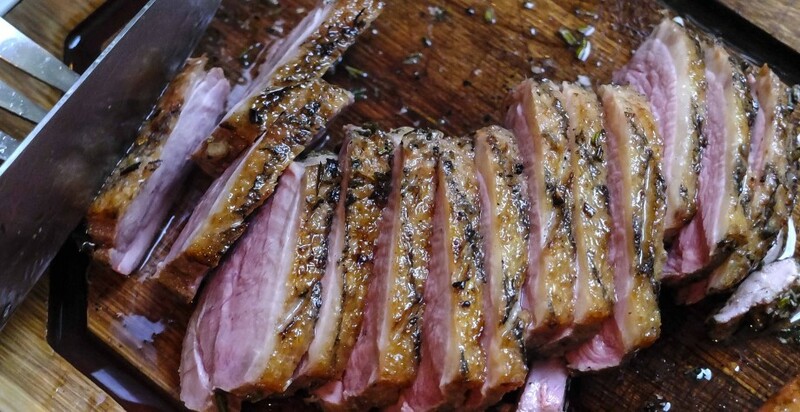 Then lay the duckbreasts over the drip pan and cook over indirect heat for approx. 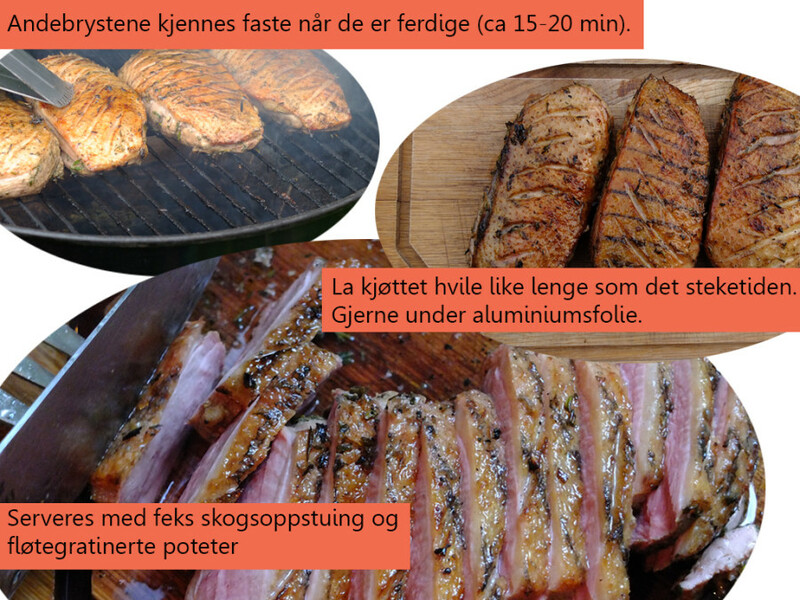 15-20 min with meat side down. The meat fells firm when finished. Let the meat rest for as long as it took to fry it. Wrap aluminum foil around. We serve the duck breasts with wild mushroom stew and gratinated potatoes.